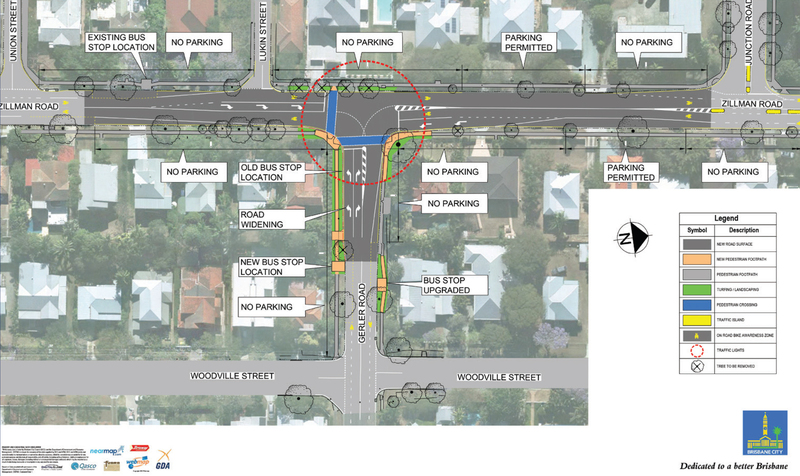 Brisbane City Council will upgrade the Zillman and Gerler Road intersection at Hendra to improve safety. The project will involve installing new traffic signals and turn pockets at the intersection to improve traffic flow. Some informal parking will need to be removed on Zillman Road and Gerler Road approaching the intersection to facilitate the upgrade. removal of some street trees. For more information please view the latest BCC newsletter on the project (Current as of 2016-01-14). To view the full resolution plan please click the plan below (3mb).